We believe that hands-on, practical and intensive training in the culinary arts can help many people in our community find long term sustainable employment, break the cycle of poverty, and give people hope for a better tomorrow. For over 40 years, the Manchester Area Conference of Churches (MACC Charities), led by our dedicated staff and volunteers, has been here for our community, and our approach is simple: practical assistance, walking with people through the tough seasons of life, a hand up instead of a hand out. With our 40 member churches, as well as community partners and supporters, we see lives changed every day. 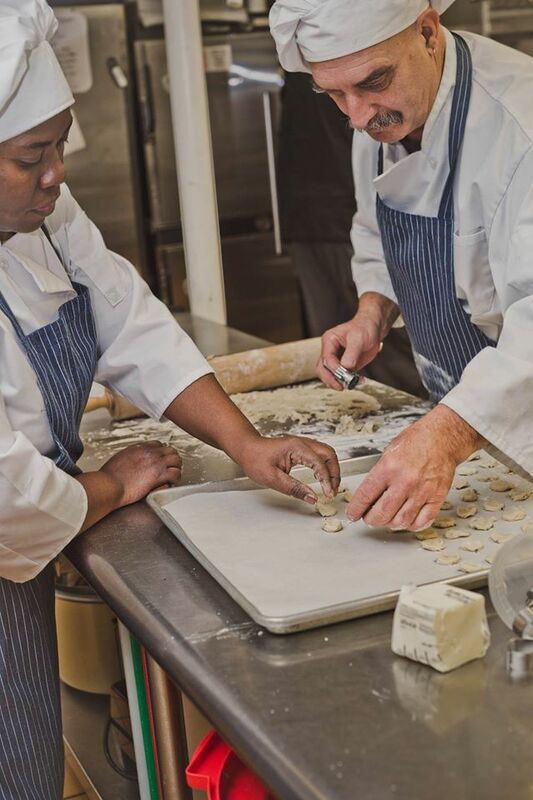 Our MACCchefs program -- Culinary & Hospitality Education Fundamentals School -- is designed for those ready to move forward with a potential career in the hospitality and food service industry. Our program focuses on low-income, homeless or those at-risk of homelessness. We offer to tracks: one focused on Kitchen/Back of House training, and the other focused on Waitstaff/Service/Front of House training. 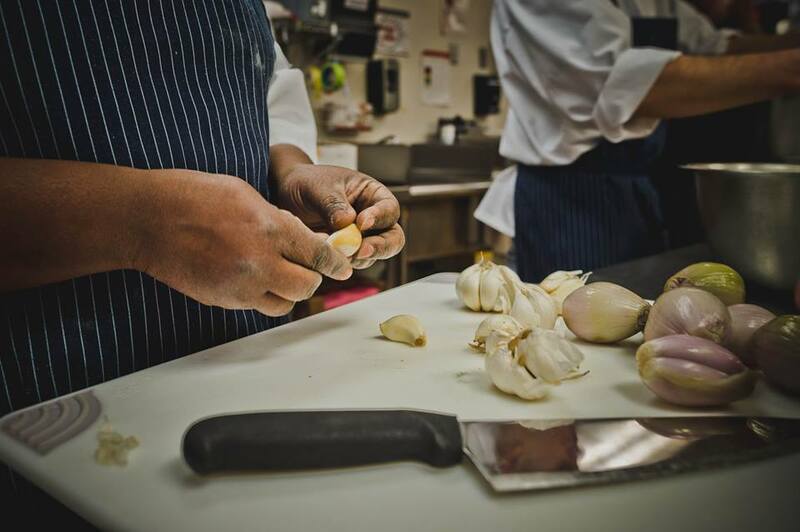 Based on an intensive 18-week curriculum, our program focuses on culinary foundations, core competencies and skills needed in the professional kitchen, as well as life-skills development. Find out more info, answers to frequently asked questions, and access our online application. Click here to apply.